And that is the raison d’etre of the Laboratories. 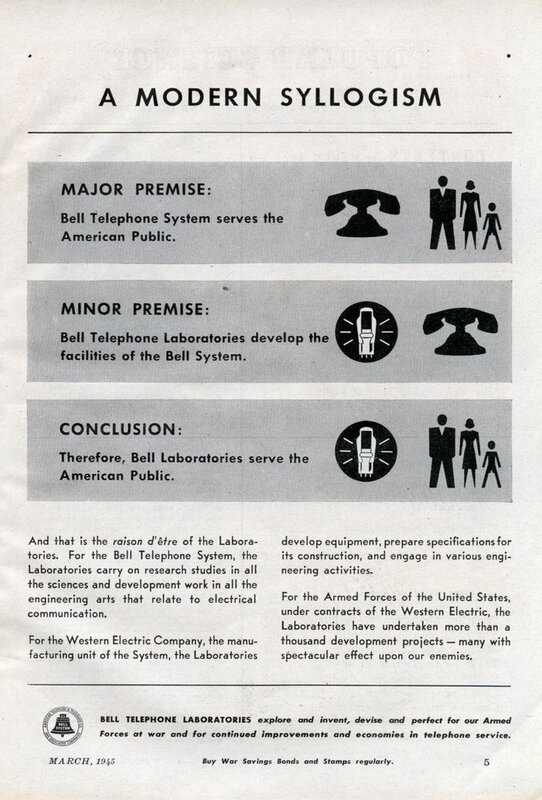 For the Bell Telephone System, the Laboratories carry on research studies in all the sciences and development work in all the engineering arts that relate to electrical communication. For the Western Electric Company, the manufacturing unit of the System, the Laboratories develop equipment, prepare specifications for its construction, and engage in various engineering activities. 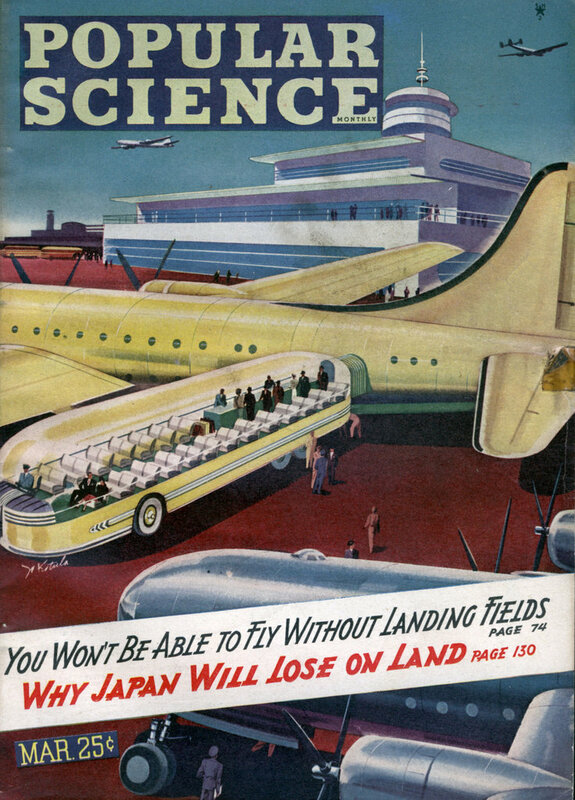 For the Armed Forces of the United States, under contracts of the Western Electric, the Laboratories have undertaken more than a thousand development projects â€” many with spectacular effect upon our enemies.